Fortnite season 5 started today and with the massive update a data miner was able to uncover the list of skins, items, gliders, and the names to go along with them. Twitter user Silox has published a graphic including all of data mined items. 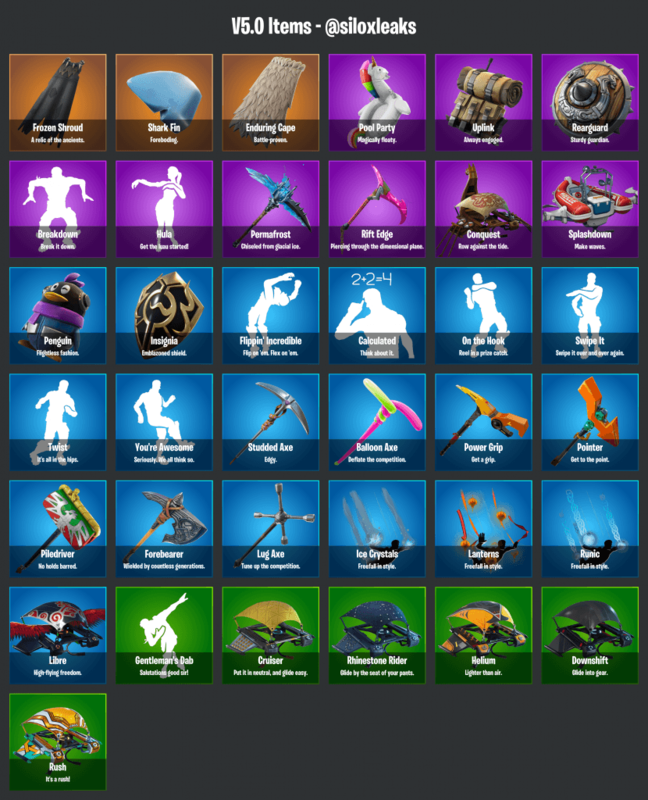 Hopefully looking at the list will help you decide if you want to purchase a battle pass, or just save your money to purchase skins and items from the item shop.